If you forgot your password, you can reset it by clicking the 'forgot password' link on the login screen. 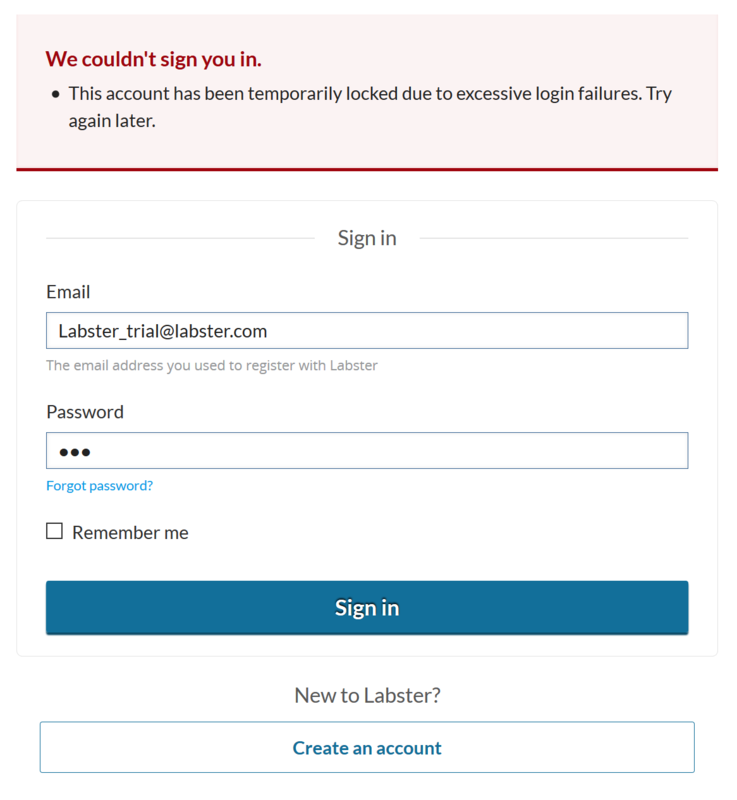 Please reset the password using the same email address signed up to Labster with. 2. If you forgot the email you used to sign up with, please write to support@labster.com and provide a list of possible email addresses and/or usernames you may have used. 3. If your account got blocked due to excessive login failures, please reset your password and wait for 15 minutes before trying to login again.